Kit Dale is Australia’s most prolific competitor, having won several high profile tournaments such as the Australian Nationals and Abu Dhabi World Pro multiple times. Despite starting BJJ relatively late at age 23, Kit was able to earn his black belt in just 4 years by utilizing his unorthodox study of the art. Lately Kit has been dealing with some severe injuries, but he’s still been able to excel in competition. Why? By using his deep conceptual knowledge to overcome the lack of fitness and conditioning caused by the injuries. 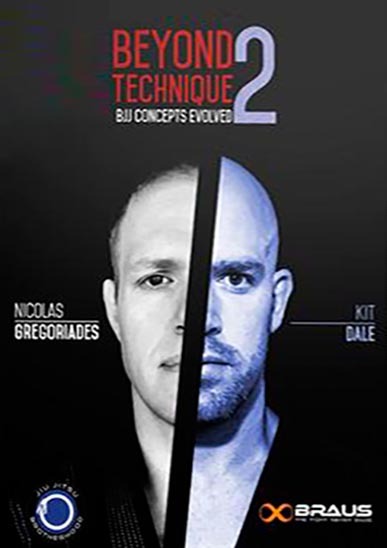 Beyond Technique 2 is 72 minutes of pure concept-concept focused learning, designed to teach you essential jiu jitsu concepts on a truly deep level. The reason concepts are to powerful is because, once learned, a SINGLE concept can be applied to many, many individual situations.